Appearance (0-20): And here comes another fine AJ Fernandez blend. The band can really draw you towards a cigar, subliminal or not. The band is a work of art that depicts a Trojan warrior helmet. The backdrop is a deep black base, with pewter coloring throughout. 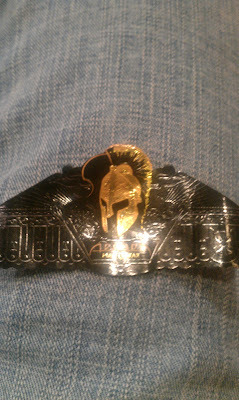 The main standout is gold leafing with the Trojan helmet. The cigar itself is a pretty big stick, with no real blemishes. The wrapper is medium brown, with a small bit of tooth on it. Construction (0-20): The first thing that you’ll notice is how large and heavy this cigar is. The combination of length and ring gauge is intimidating, yet an additional element is added due to the weight. While heavy in the hand, it is fairly well balanced. The next noticeable fact is the perfect draw. This one is very similar to the Room 101 OSOK; the draw was very smooth and cool. When taking each puff, there is no heat from the smoke whatsoever. Quite impressive. The burn was even right on down, and the ash held on around 1.5” comfortably. On a quick side note, the smoke lasted an impressive 1.75 hours. Strength (0-20): I’ve smoked three of these stick, yet this one was much fuller than I remember. I did pay more attention to this stick for the review, so that could be why. The strength is medium-full to full. I think a large proponent of this is the sheer size of the cigar. Near the end of the stick, you should be sitting down. Flavor (0-20): After a few puffs, the draw was so cool that I actually couldn’t pick up any distinct flavors. The first quick bit of flavors are a bit of spice to let you know what you are getting ready for…battle. After the spice subsides, the main flavor notes for the rest of the stick are of sweetness and woodiness. Cedar was very prominent, with hints of vanilla to keep the cigar nice and smooth. Value (0-20): For a $20 cigar, it is fairly well priced, but let me elaborate. Many things were done right here, yet the price can be a big deterrent for many people. I did receive this in a sampler pack, although I’m not sure I would go buy this on a single stick price. 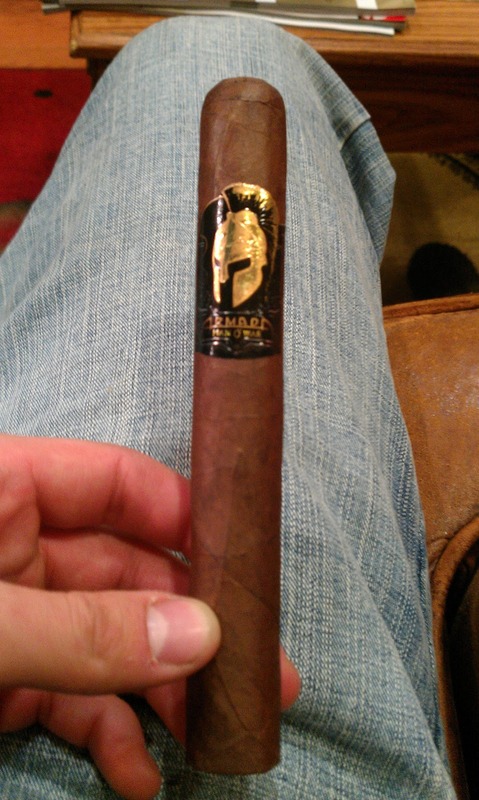 I would much rather opt for another AJ cigar, Ave Maria Reconquista $18, or the Room 101 OSOK $12. That shouldn’t be a knock on this cigar, yet there are so many options at that price range. Additional Notes: Smoked at CI, paired with Sam Adams Cinder Bock. This was my victory cigar for the Philadelphia Flyers playoff win against the Penguins. Overall (0-100): Success. Another job well done by AJ, and I will always smoke his cigars no matter what I’ve heard about them; although it is generally good. Everything was well done, yet I wish that more spice was integrated in the cigar to balance off the creaminess and sweetness. 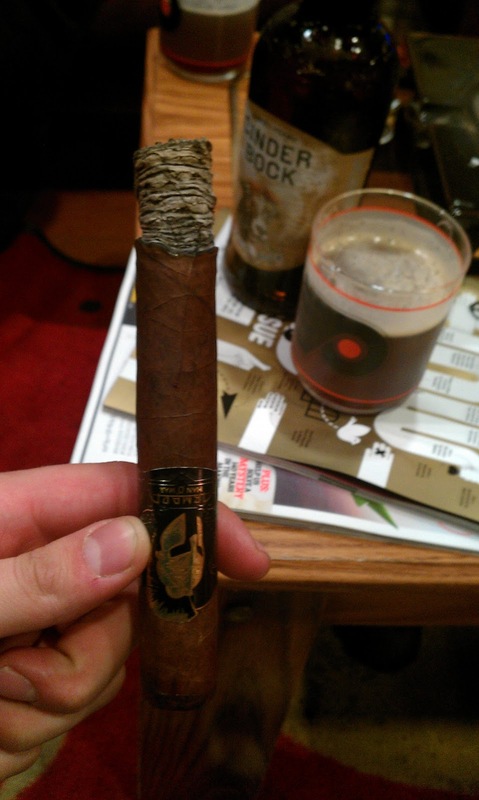 Definitely a very solid stick all around, and it will let you kick back and enjoy for an extended period of time.